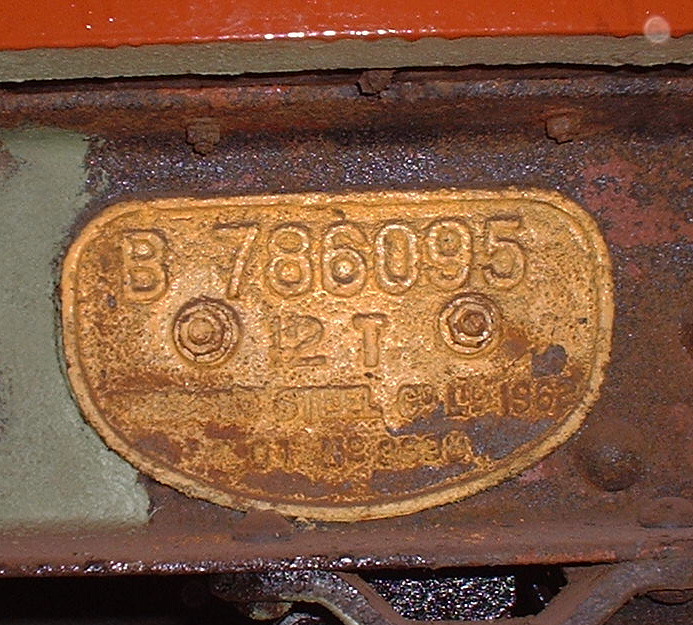 No Carriage and Wagon site would be complete without a section on wagons, so this site is not going to be an exception to that rule. 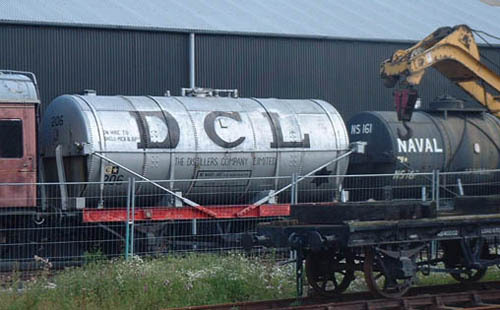 The SRPS has quite a large wagon collection including some very old and frail examples such as the tar wagon in the Museum building. Ian Boettcher and his S.A.D. lads did a grand job of renovating some of our wagon stock in the Goods Shed. During the period of the S.A.D. project (started in early 2002) a 12T PAL van was restored, an ex NB 10T box van, a 12T ventilated van and an LMS 20-ton brake van. John Forrest continues to care for many of our freight vehicles (as in "What colour of black paint are you going to use today John?"). 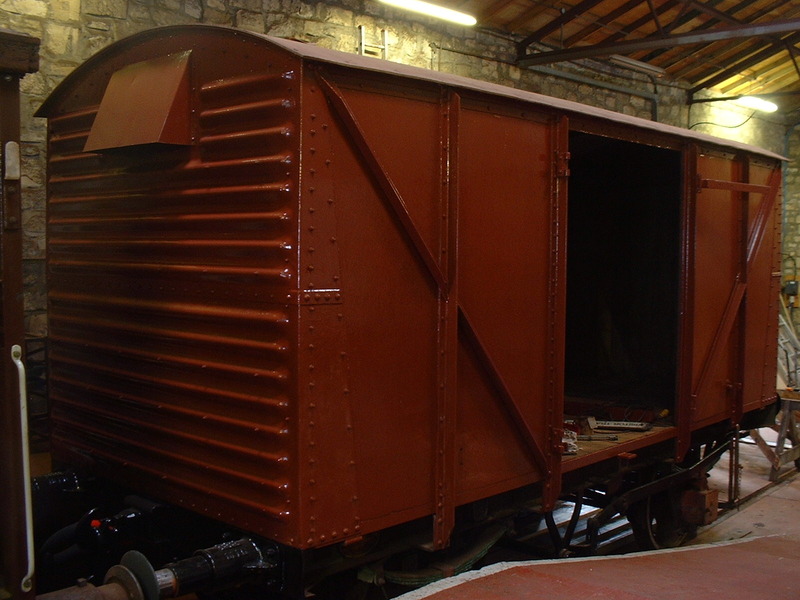 12T van nearing the end of its restoration in the goods shed. 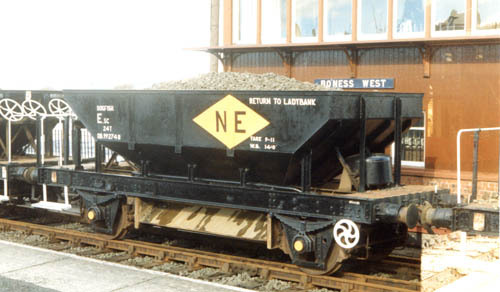 And to finish, a couple of photographs from Hamish Stevenson of wagons taken during the 1990's. The first photo is of Dogfish 992748 taken on 7-5-95 and the second is of TTA BPO 67496 which was donated to the SRPS by BP. 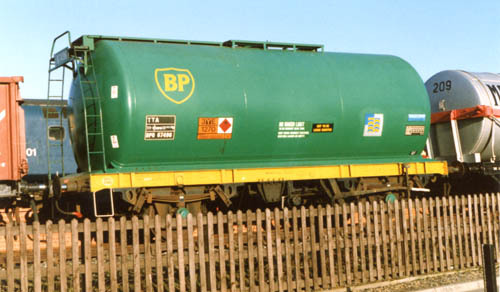 This photo, dated 2-2-97 was taken shortly after the wagon arrived at Bo'ness.